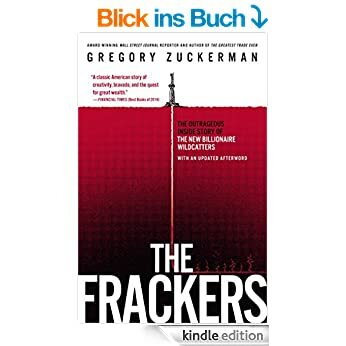 “The Frackers” is the story about a bunch of crazy US “wildcatters” who managed to find a way to extract enormous amounts of oil and natural gas from rock formations which were thought (by conventional wisdom) as not to be worth drilling. They way they achieved it was actually not to invent anything new, but to combine and refine existing technologies (horizontal drilling and fracking) which allowed them to produce oil and gas at competitive costs. 1. Being too early is the same as being wrong. It took a long time to make it work and those who started early often did not have the means to pull through. 4. Established companies like Exxon, Chevron etc. mostly missed the opportunity because they relied on “conventional wisdom” which said that shale is not relevant. Funny enough, one of the best shale regions (Barnett) lies literally below Exxon’s headquarters. They were sitting directly on top of a big energy source but ignored it and went to Indonesia, Nigeria etc. For non-US readers like myself it was also interesting to see how the dynamics between wildcatters and land owners play out. Without landowners having a profit stake in the production, getting permission for fracking would be much more difficult. This is maybe the reason why fracking in Europe will never get done as the government has the monopoly on natural resources. Another thought: I think in the current discussion of how the oil price impacts the US economy, it is not enough to look just at the direct jobs created by the E&P companies. If you assume that in total, the shale boom increased daily US oil production by 5 mn barrels, at an oil price of 80 USD per barrel, around 150 bn USD have flown back into the US economy annually instead of going to OPEC countries or other non-US oil producing countries. I guess fracking had a much bigger impact on the US economy’s revival since the financial crisis than the Fed. Overall, I found the book very interesting and I would say that it is a MUST READ for anyone interested in the oil industry. It is well written and entertaining as well as informative. Highly recommended !!! It looks interesting book. Thanks. thanks for the comment. “Greatest trade ver” is one of my favourits as well.